SPOILERS FOLLOW. Please don’t read until after you have seen The Last Jedi. Even as a lifelong Star Wars fan, I absolutely adored The Last Jedi. 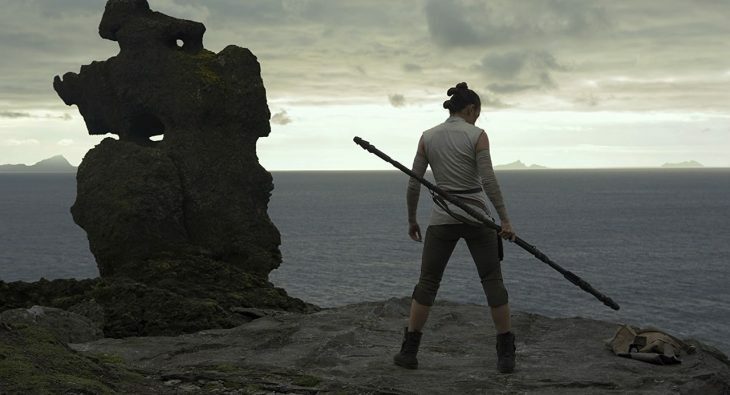 Its pace, self-reflective humor, incredible action set pieces, evolved performances and the surprising fates of Snoke, Luke and ‘broom boy’ were all rewarding in their unexpected nature, which hint at new directions while freshly transitioning away from the legacy that came before. I had issue with moments such as Leia’s Mary Poppins revelation and some of the Finn/Rose journey, but overall appreciate how the first recognises Leia’s innate force sensitivity and the latter helped to establish the ‘class war’ nature of the battle that is sure to take place in Episode IX. Other long-time fans, however, appear to have been deeply offended by how Rian Johnson and team handled Luke’s personality, Rey’s rapid force mastery, Snoke’s identity, Rey’s parentage, Rose’s role and other aspects of the film. While it’s fine to be critical, many have expressed their anger with a sense of vitriol. Why is it that some fans have responded this way, and driven the Rotten Tomatoes’ fan score for the film into territory that differs so greatly from the ultra-fresh score it acquired from film critics? The video below attempts to uncover what elements of the film triggered such an emotive, divisive fan response, and looks into whether this was fully justified, or could be indicative of an early over-reaction. Without meaning to come across as a promotion for Buzzfeed, I wanted to share this video with you, as it includes a few touching moments (look out for Mark Hamill’s result), and some beautiful banter between the lead actors of The Last Jedi. You’ve all seen those rather pointless, but often entertaining, online quizzes that ask you a series of questions to determine which one of the Friends you are, which Disney princess you should marry, whether you should be on Team Swift or Team Kanye, etc. Buzzfeed created a quiz to find out which character from The Last Jedi best matches your personality. Where this becomes interesting is that they then brought in the stars of the film and had them work through the quiz themselves. Now, actors are by nature performing when they step on set. As such, you wouldn’t necessarily expect Daisy Ridley, Gwendoline Christie, John Boyega, Oscar Isaac and crew to psychometrically align with the characters that they play, but some of the surprises that pop up throughout this process are great value. Gwen, in particular, reveals quite a lot about herself and her desires.